Hello everyone! Today we will continue with the Aloe Rose Soothing Series. Click Here for the Soap Recipe (Our most famous recipe). This is an extension to that soap series. Today we will be teaching you how to make an amazing sugar scrub. 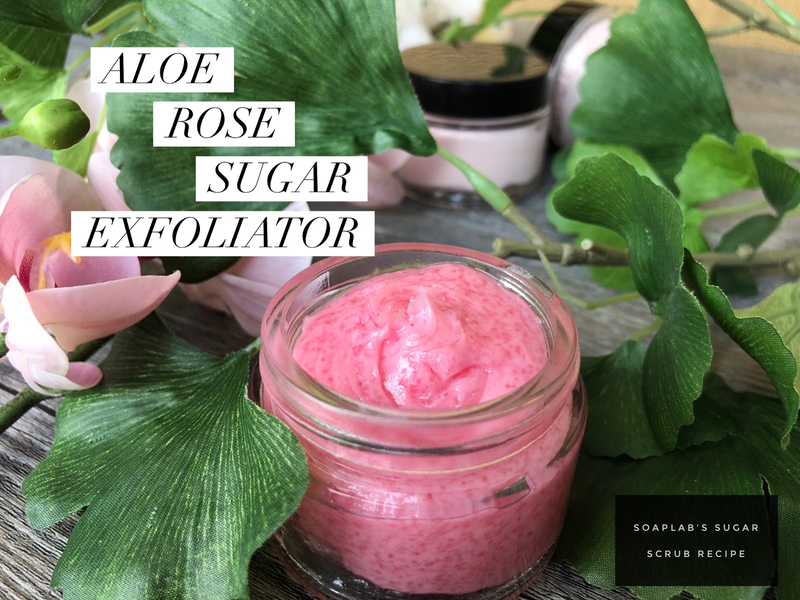 Sugar scrubs are great for exfoliating and it definitely will give your skin that extra glow. The first ingredient will obviously be sugar. Sugar has many benefits from helping exfoliate, giving you softer skin and also helps stimulate skin to give you younger looking skin. The next ingredient will be the Shea Olive Cream Base which is a great moisturizer and helps promote skin health. Geranium essential oils are then added to promote radiant skin. It also has antibacterial properties which aids in the elimination of body odors. Finally aloe vera extract is added, which acts as moisturizer and also prevents the aging of the skin. So there you have it, all the ingredient for a great sugar scrub. Enjoy!